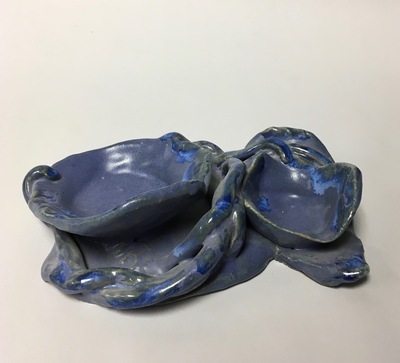 Ceramic dish, abstract. Blue and purple glazes. Student work.